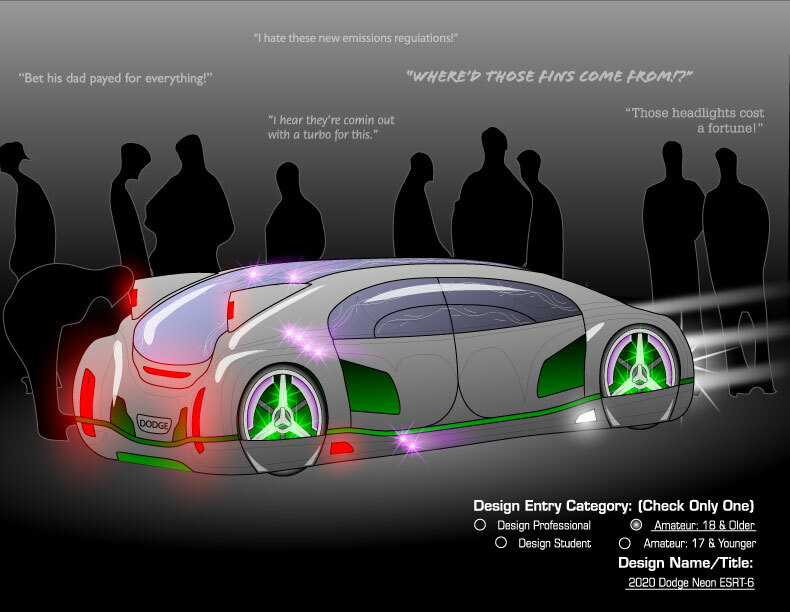 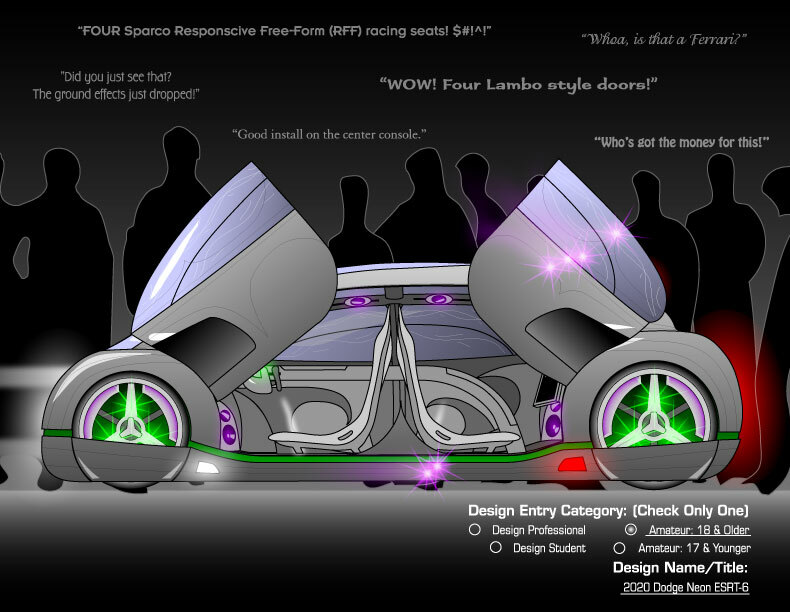 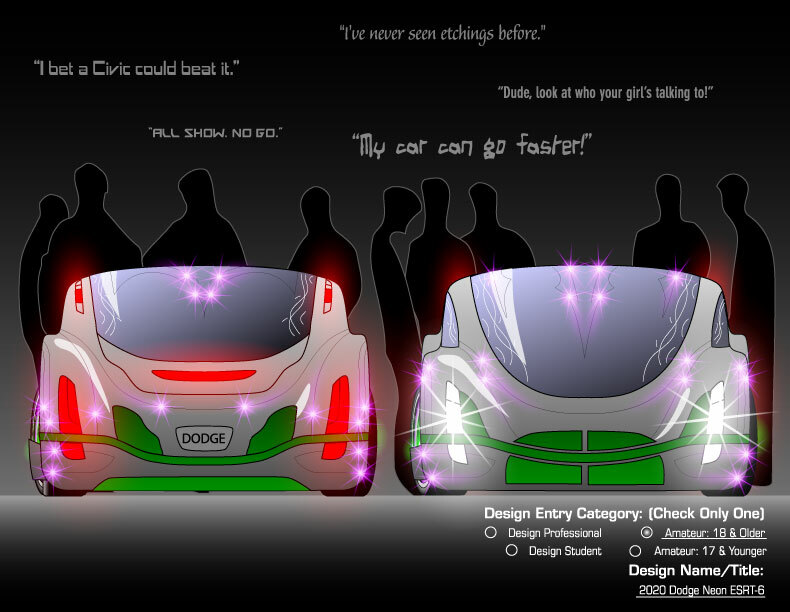 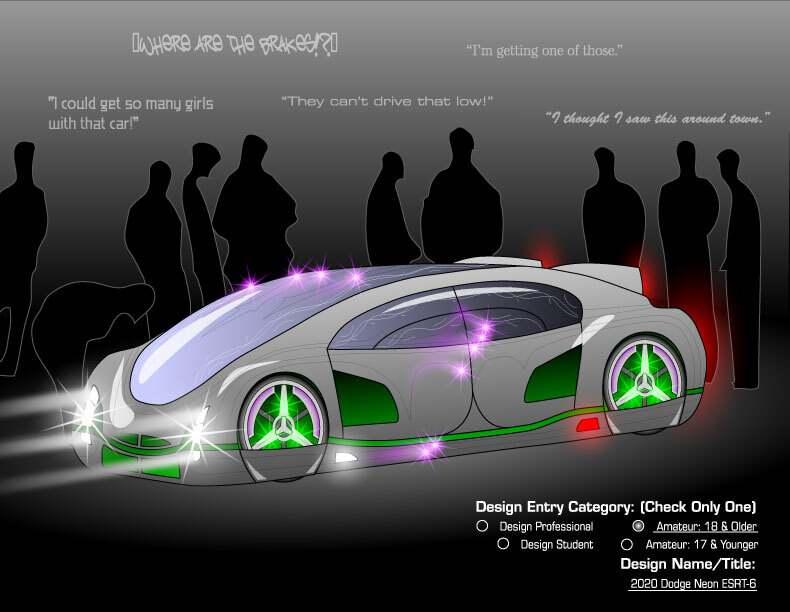 This was my design entry for the CIAS 2003 Motor Trend Automotive Design Contest: Tuner Car for the year 2020. 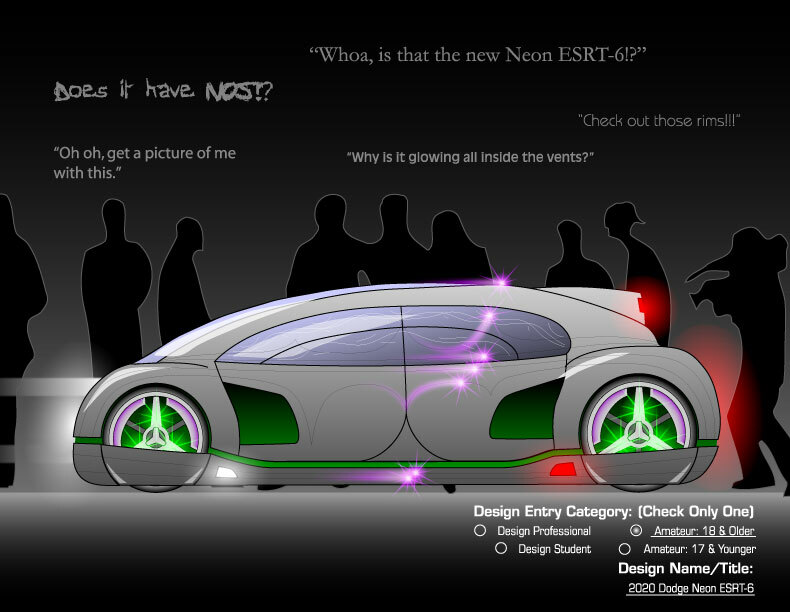 I entered as an Amateur: Over 18 years old. 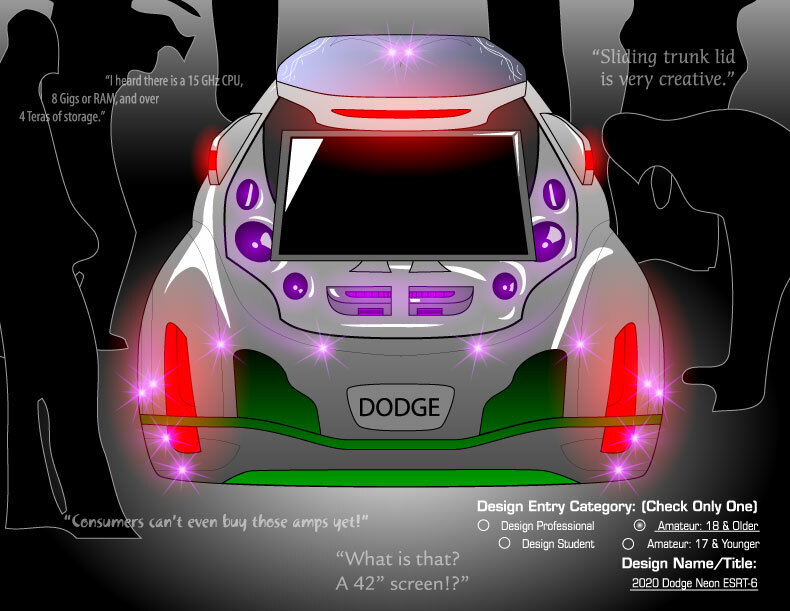 I used the project to learn Adobe Illustrator. 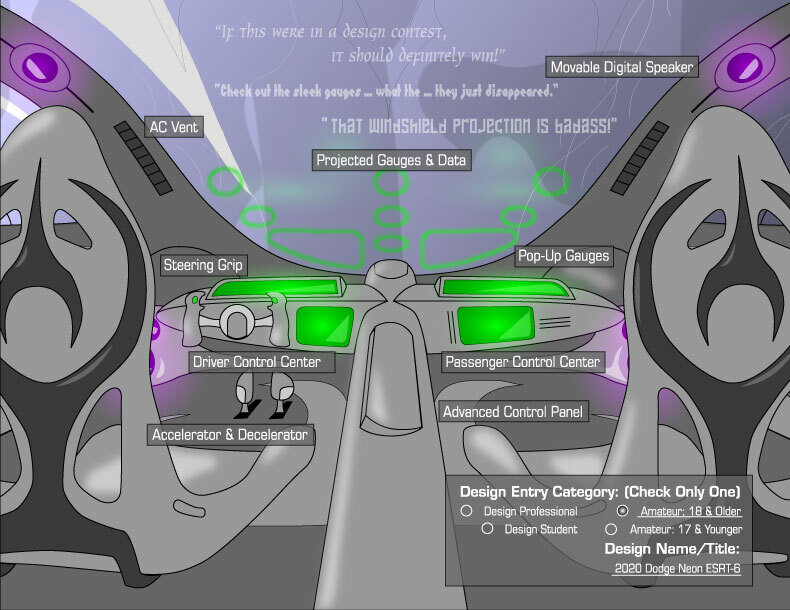 I sketched out all of the views prior to scanning them, tracing them in Illustrator, and adding the rest of the details and color.